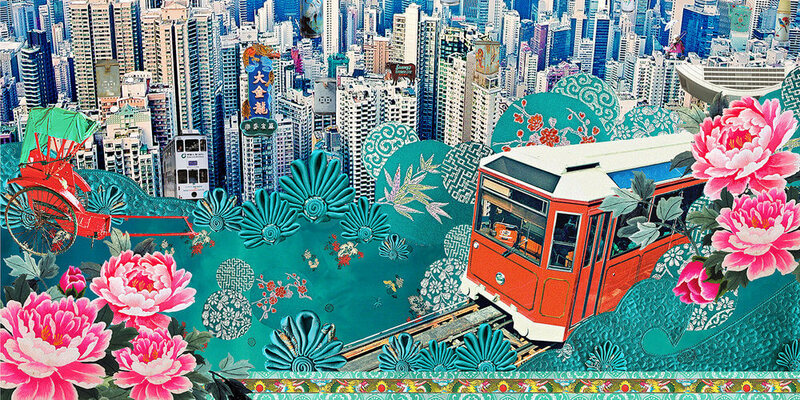 12 ‘LITTLE CHINESE WINDOWS’ Ltd Editions - ARE READY TO ORDER! Available from my online shop and from selected retailers, all of the designs have an edition of 50 prints only. Numbered, signed and blind embossed with my Ltd edition stamp, they are printed in gallery standard Giclee inks onto specially imported high quality German Hahnemuhle etching paper. Fully framed they measure 17” x 17” inches. A lovely range to collect to create an ‘art wall’ , they work well in pairs, as several hung together or bought as a precious gifts for friends! The prints feature photographs I have taken mainly in Hong Kong and Singapore and still life images or ‘vignettes’ photographed in my studio using objects and fabrics that I have collected over many years of living in Asia. I hope to capture the feel of a vintage era of handmade and traditional craftsmanship from our beloved neighbourhoods full of pattern, colour and culture.